An angel directs a Pentecostal pastor to the Adventist church for Bible truth. “The work ever before the minister of Christ is to preach the gospel, both to those that are nigh, and ‘in regions beyond.’ It involves self-denial, and necessitates cross-bearing. This kind of work, that will lead us continually to be faithful home missionaries and to press forward into new fields, must be carried on more and more as we near the close of earth’s history. The gospel is not to be restricted to any time or confined to any place. The world is the field for the gospel minister, and the whole human family is his congregation. When he has finished giving a discourse, his work is only just entered upon; for the word of life is to be presented from house to house. The truth must be carried from city to city, from street to street, from family to family. Every method by which access may be gained to the homes of the people must be tried; for the messenger must become acquainted with the people. The truth must be carried from province to province, from kingdom to kingdom. The highways and byways must be thoroughly gleaned, and the message must spread from continent to continent, until the whole earth is belted with the gospel of our Lord Jesus Christ.” Ministry to the Cities, 97. At the border of the Kabale and Ntungamo districts lies the town of Muhanga. Here, God has opened the doors for gospel work in a fascinating way. Although we were prevented from reaching out to the Muhanga community, God continued to work. 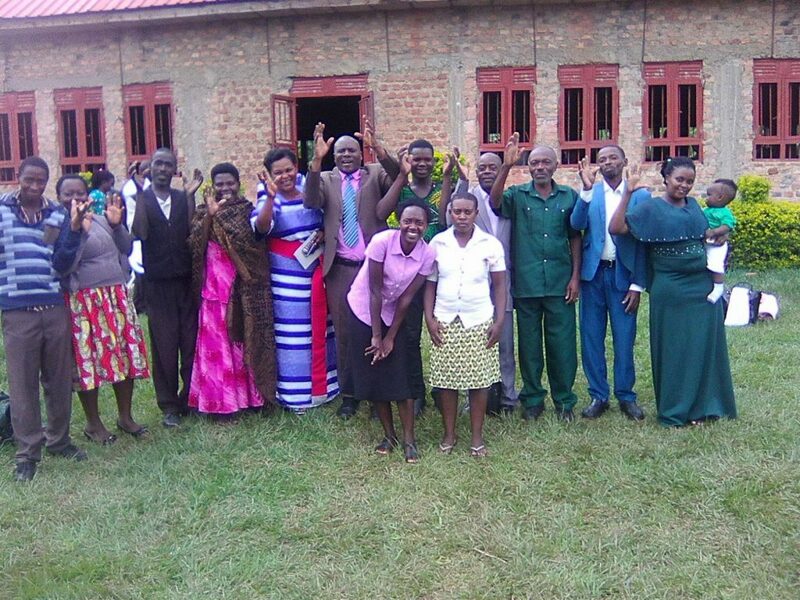 A prominent Pentecostal pastor in Muhanga chanced upon a radio program one day not realizing that it was Adventist. As he listened, he heard that the Seventh day of the week was the Sabbath. Studying the Bible in earnest, he turned to Revelation 14:1-12 and read about the Three Angels’ Messages. “No, I didn’t,” he replied. The following day, as the pastor lay down for a nap, the same man appeared to him in another dream. The following Sabbath, he visited the Bukinda Seventh-day Adventist church. He shared his dreams with the Adventist pastor, who arranged a group Bible study. The Pentecostal pastor brought nine members of his congregation with him to the Bible study. They also attended church service on Sabbath. The growing conviction that they had found God’s true church led all nine Pentecostals to continue Bible studies with the Adventist pastor. 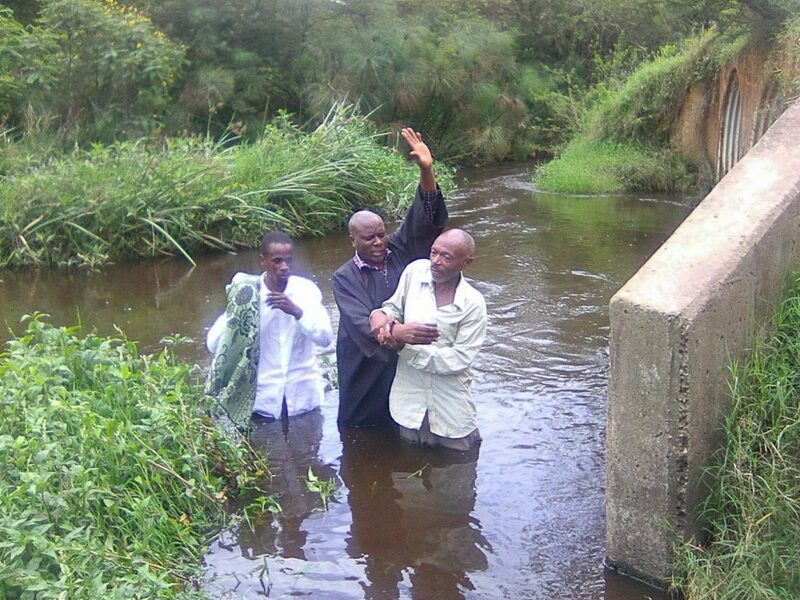 When these were completed, all nine members and their pastor decided to be baptized. The Pentecostal pastor is requesting that we organize an evangelistic effort in Muhanga, the town where we were previously barred from working. It is his desire to see that the people in his community are given the opportunity to hear the truths God revealed to him. He owns two plots of land in town and is eager to sell them both for church use. I plan to visit him next week, in the town where God has miraculously opened the doors for us to work! Maranatha: Jesus is coming again! Pastor Alex Oworinawe is a district pastor living in the Western part of Uganda. Pray for all the various ministries in Uganda and that all the workers will stay faithful to the truth. Pray for the newly baptized Pastor from the Pentecostal church!